We found these beef back ribs labeled “finger ribs” at our local grocery store. Whatever you call them, they’re excellent when prepared in the Anova Sous Vide Precision Cooker. NOTE: When you’re cooking something for this long, be sure to check the water level in your pot from time to time. You’ll most likely lose some to evaporation and you need to keep enough water in your vessel to keep your Anova Sous Vide Precision Cooker running. We’ve found that covering it with plastic wrap or foil really helps with water loss. 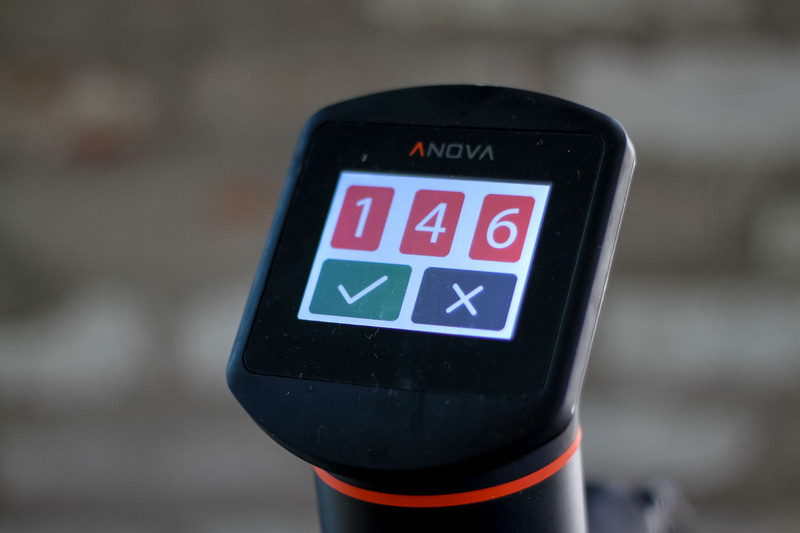 Set the Anova Sous Vide Precision Cooker to 146°F (63.3°C). Season the ribs with salt and pepper and place in a large zipper lock or vacuum seal bag. Seal the bag using the water immersion technique or a vacuum sealer on the dry setting. Place the bag in the water bath and set the timer for 48 hours. Cover the water bath with plastic wrap or foil to minimize water evaporation. Add water intermittently to keep the ribs submerged. When the timer goes off, remove the bag from the water bath. Remove the ribs from the bag and pat dry. Heat oven to 450°F. In a medium bowl, whisk together the brown sugar, paprika, chili powder, garlic powder, onion powder, mustard powder, dried thyme, 3 tablespoons salt, and 2 tablespoons pepper. Rub ribs thoroughly with the spice mixture and place on a baking sheet. Bake the ribs until aromatic, about 10 minutes. Serve.